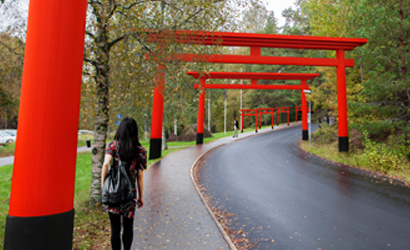 We are in the middle of exciting work with Yasuragi Hasseludden, a Japanese spa in Stockholm. 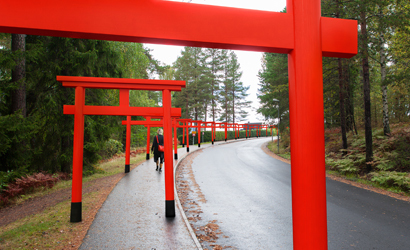 These red portals are inspired by traditional Japanese portals and line the road up to the spa – putting you in the right mindset before entering. The red colour is part of Japanese heritage and will be based on a Swedish red limewash but with pigments that create that vibrant signal red. The new refurbished conference area and the portals will be completed by the beginning of 2013.